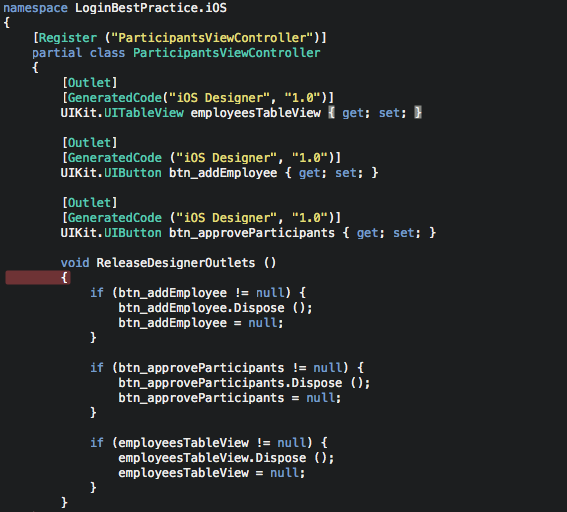 I have a UIViewContoller in which I have set certain elements like a UITableView (named: employeesTable) and buttons. THEN it does load the required elements, and I can press 'play' and move along with my program. What can I do about this type of bug? I tried putting a delay or setting methods in ViewDidLoad() but no such thing has helped. I checked all my Resource files for '-' names, but none are present anymore.